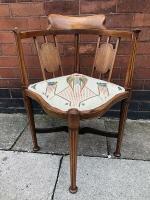 Here you will find a huge variety of antique furniture dating from early Georgian right through to the 1950s. 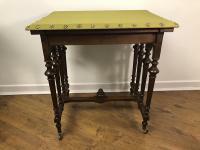 A large free standing or wall mounted gilt mirror dating from the late 1800s. Very heavy. 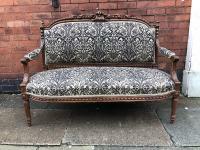 A splendid cast iron and brass king size four poster bed dated C1880, Originally from Seventh Heaven bedrooms. 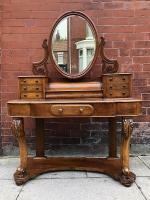 A walnut Victorian dressing table C1890 with oval mirror. 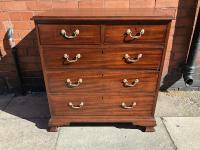 Small drawers and for storage and a large central lidded compartment. 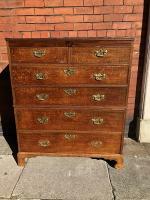 A superb example of a flame mahogany Georgian chest of drawers C1840. 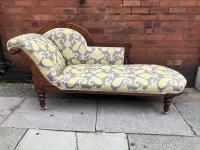 Late Victorian chaise longues/sofa bed with original castors reupholstered throughout.